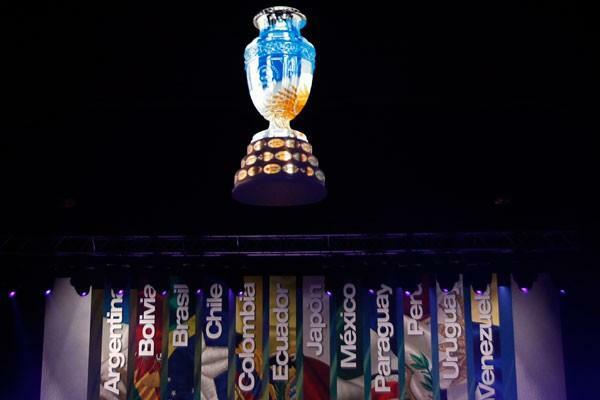 After a mind-numbingly drawn out ceremony, the groups for the 2011 Copa América, to be held in Argentina from the 1st July (the new date having been decided on earlier today), have been decided. Argentina have three grudge matches: Japan, the guests, who beat them 1-0 in a friendly in Tokyo last month; Colombia, who still love reminding their hosts of the 5-0 thrashing in the Monumental in 1993 which was, until last year, Argentina’s only ever home defeat in World Cup qualifying, and Bolivia, who last time they played Argentina ran out 6-1 winners over Diego Maradona’s men in La Paz. Sergio Batista, newly-confirmed as the permanent manager of the Argentine national side, sounded happy enough with the draw, whilst accepting that, ‘Japan are a difficult side, and it’s a difficult group.’ Remarkably for a man with such greasy hair though*, he didn’t seem to be sweating too profusely at the prospect. Argentina will play the first match of the tournament in La Plata on the 1st July, against Bolivia, and will be hoping of course for a considerably better performance than the one that had so many of us covering our keyboards in (metaphorical or real) cups of coffee back on April Fools’ Day last year. *That’s not meant as a personal slight; it’s just that I was at the house of a couple of female friends when I watched Batista being interviewed on TV on the day the AFA confirmed his permanent appointment, and they couldn’t stop going on about how greasy his hair was.